FIGURE 1: pDK vector series overview. (A) pDK vector with an integrative module flanked by a split marker. The customized insert is flanked by constitutive, inducible, or daughter-specific promoters. PCR is required for genetic integration. (B) Integration overview: the module is transformed into S. cerevisiae and inserted into the chromosome resulting in a marker locus duplication. 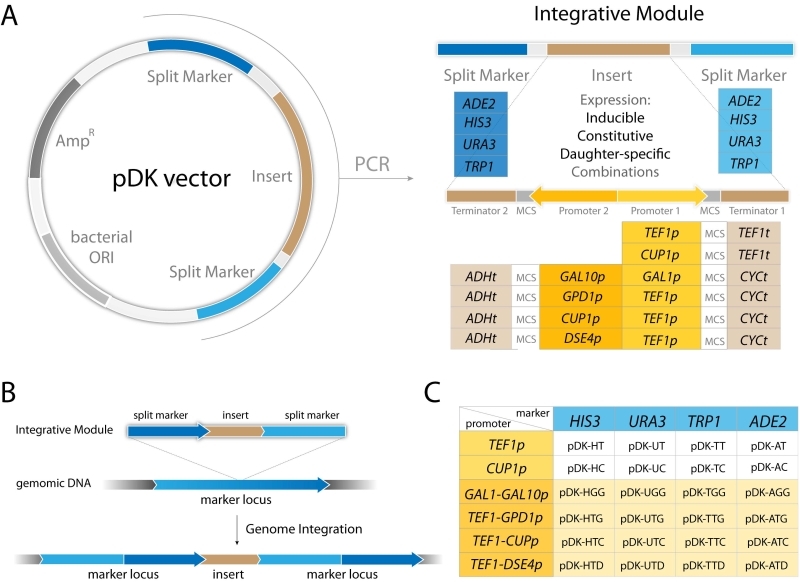 (C) pDK vector set: constitutive, inducible, and four bi-directional promoter plasmids available for integration into four markers.